There actually is a reef wall in Western Australia. It is inland and from the Devonian. 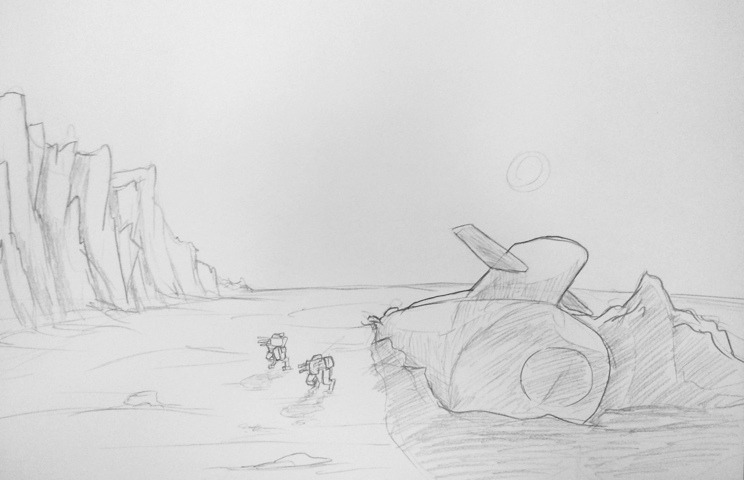 This entry was posted in Quick Desksketch and tagged beached, mech, robot by Anthony. Bookmark the permalink. I love this one. Beautiful sense of perspective. And I love the grounded submarine 😉 I never thought of that, but it’s perfect!